This game is an early example of Williams popular baseball pitch and bat games. 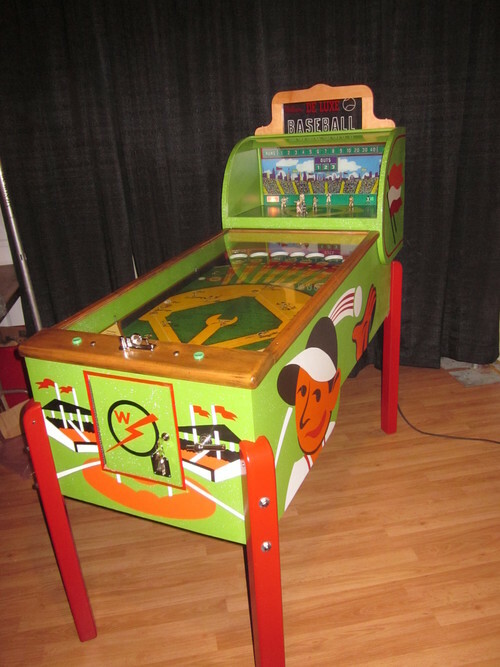 With all wood trim and legs, a unique backbox design, attractive cabinet and playfield, this game is a beautiful piece of Americana art, as well as a fully functional baseball game that will give you years of entertainment. Cabinet has been fully restored and freshly painted. All mechanicals have been completely gone through. All chrome is new. The wood rails have been completely restored and refinished. A truly remarkable restoration. Beautiful light box shows actual opposing players on the field in realistic third dimension. 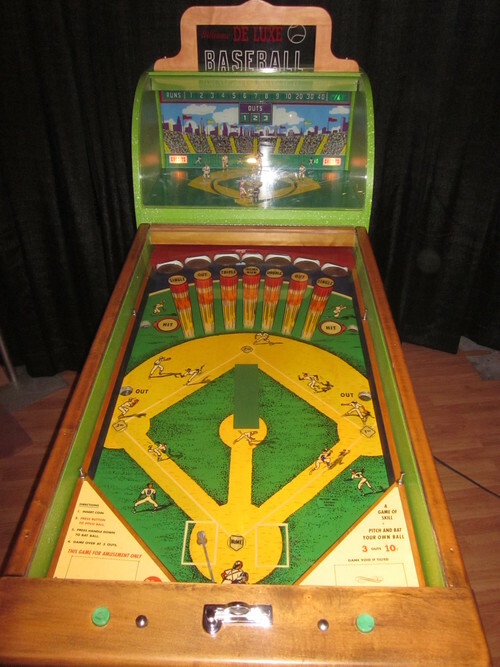 Lights on playfield bases indicate men on bases as well as the 3D men set on the field. Short back box with lighted scoring.